In this course, students learn core skills that are common to almost all SharePoint development activities. These include working with the server-side and client-side object models, developing and deploying features, solutions, and apps, managing identity and permissions, querying and updating list data, managing taxonomy, using workflow to manage business processes, and customizing the user interface. 1. Selecting an appropriate approach and building customizations in SharePoint. 2. Creating and implementing a strategy for solution packaging, deployment, and upgrading. 3. Identifying SharePoint data and content structures for customizations. 4. Performing diagnostics and debugging. 5. Performing diagnostics and debugging. 6. Identifying and mitigating performance issues of customizations. 7. Understanding authentication and authorization. 8. Experience with Windows PowerShell. 9. 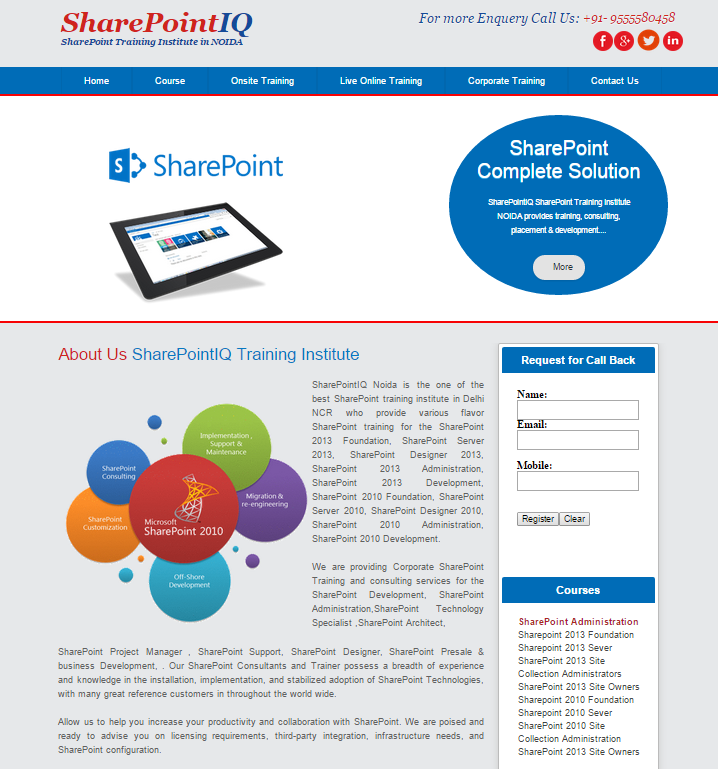 Broad familiarity with SharePoint capabilities. 10. 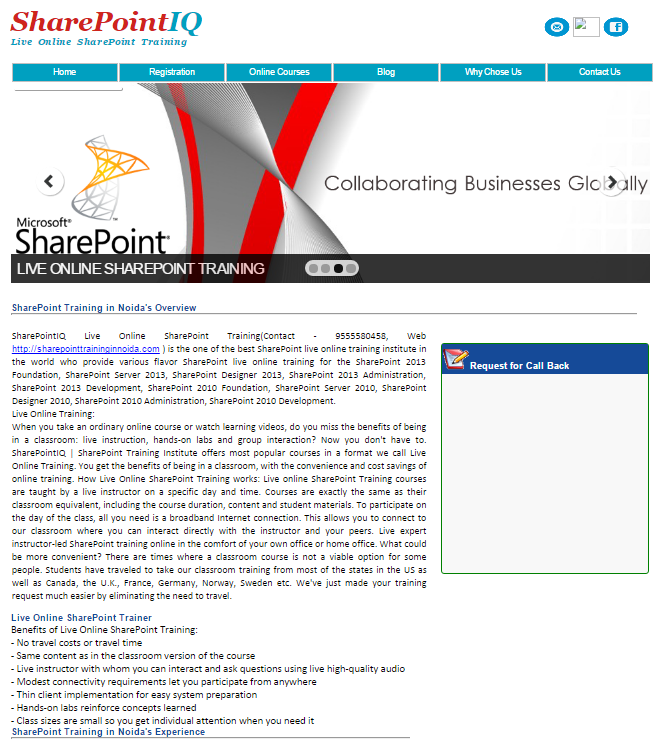 Familiarity with Online Services such as Azure and SharePoint Online. This module examines different approaches that can be used to develop applications with SharePoint Server 2013 the scenarios in which each approach might be appropriate. * Introducing the SharePoint Developer Landscape. * Choosing Approaches to SharePoint Development. * Understanding SharePoint 2013 Deployment and Execution Models. Lab : Comparing Web Parts and App Parts. * Creating and Deploying a SharePoint Web Part. * Describe the opportunities for developers in SharePoint Server 2013. * Choose appropriate execution models for custom SharePoint components. * Choose appropriate deployment models for custom SharePoint components. This module introduces the server-side SharePoint object model and how the core classes relate to sites and collections. The server-side SharePoint object model provides a core set of classes that represent different items in the logical architecture of a SharePoint deployment. Students also learn how manage permissions for server-side code. * Understanding the SharePoint Object Hierarchy. * Working with Sites and Webs. * Working with Execution Contexts. * Working with Sites and Webs in Managed Code. * Working with Sites and Webs in Windows PowerShell. * Running Code with Elevated Privileges. * Adapting Content for Different User Permissions. * Explain the purpose of key classes in the server-side SharePoint object model. * Programmatically interact with SharePoint site collections and sites. * Adapt solutions for users with different levels of permissions. This module explains how to interact with lists and libraries. Students learn about how to work with lists and libraries programmatically using the server-side SharePoint object model and how to use query classes and LINQ to SharePoint to query and retrieve data from SharePoint lists. Student also learn how to efficiently work with lists that contain large numbers of items. * Using List and Library Objects. * Querying and Retrieving List Data. * Interact with lists and libraries programmatically. * Query and retrieve list data. * Perform operations efficiently on large lists. This module examines creating and deploying custom Developing a SharePoint solutions and features. The students also learn how and when to use sandbox solutions. * Working with Sandboxed Solutions. * Create a Farm Solution. * Describe the structure and use cases of a Feature. * Explain how to create a farm solution. * Explain how to create a sandboxed solution. In this module we will explore the new changes to Web Applications and discover the creation and management of them in both Central Administration and PowerShell. * Developing an Event Receiver. * Updating a Web Part. * Creating a Timer Job. * Describe the process for developing a web part. * Creating a Timer Job.Use event receivers to handle SharePoint events. * Use timer jobs to perform out of process, and scheduled operations. * Store and manipulate configuration data for custom components. * Understanding Identity Management in SharePoint 2013. * Managing Permissions in SharePoint 2013. * Customizing the Authentication Experience. * Creating a Custom Claims Provider. * Supporting Search and Resolve in a Claims Provider. * Deploying and Testing a Claims Provider. * Describe how authentication and identity management work in SharePoint 2013. * Verify and manage permissions programmatically in SharePoint 2013. * Create and configure custom membership providers and role managers for forms-based authentication. * Create claims providers and customize the sign-in experience. This module discusses planning and organizing sites and lists. The students also learn how to create custom component definitions and templates. * Creating a Site Definition. * Creating a List Definition. * Explain the SharePoint component hierarchy. * Define and provision custom lists. * Define and provision custom sites. * Manage the SharePoint site lifecycle. A brand new Service to SharePoint 2013 that allows SharePoint 2013 Administrators to setup their own on premise marketplace hub and maintain control of the Apps stored in it and those subscribed to from the Internet Marketplace. In this module we will go through setup and configuration and publish Apps into your SharePoint farm. * Overview of Apps for SharePoint. 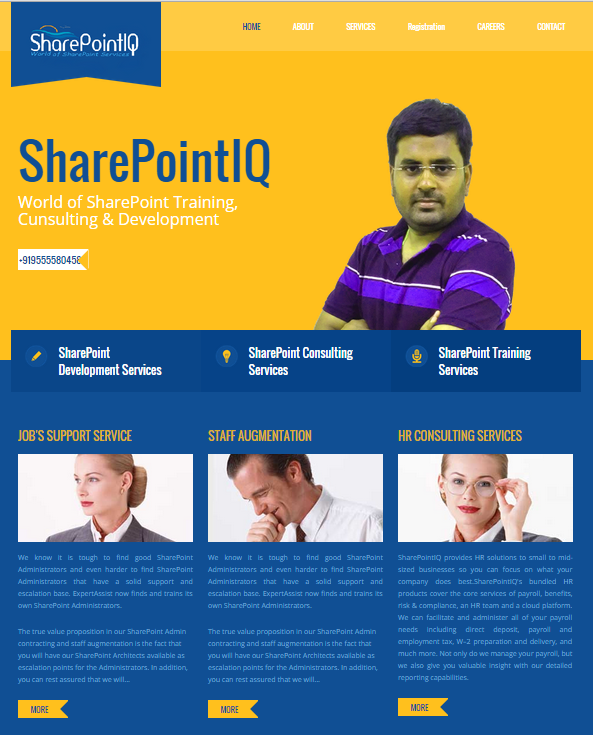 * Developing Apps for SharePoint. * Using the Client-Side Object Model. * Understanding the App Management Architecture. * Installing, Updating, and Uninstalling Apps. 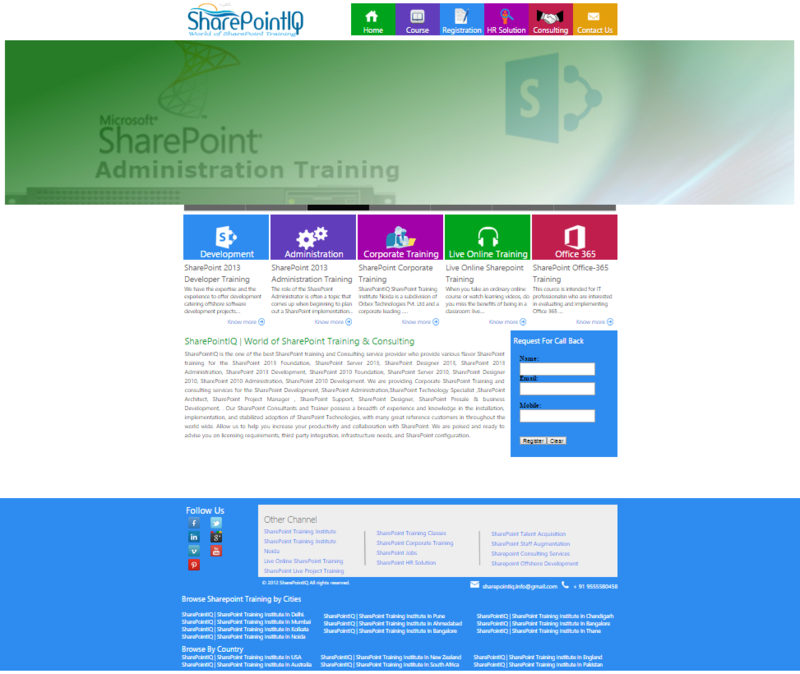 * Explain how SharePoint manages app publishing and distribution. * Describe the contents of an app package. * Publish apps to a corporate catalog or the Office Marketplace. This module explains how to create workflows and workflow actions using Visio 2013, SharePoint Designer 2013 and Visual Studio 2012. 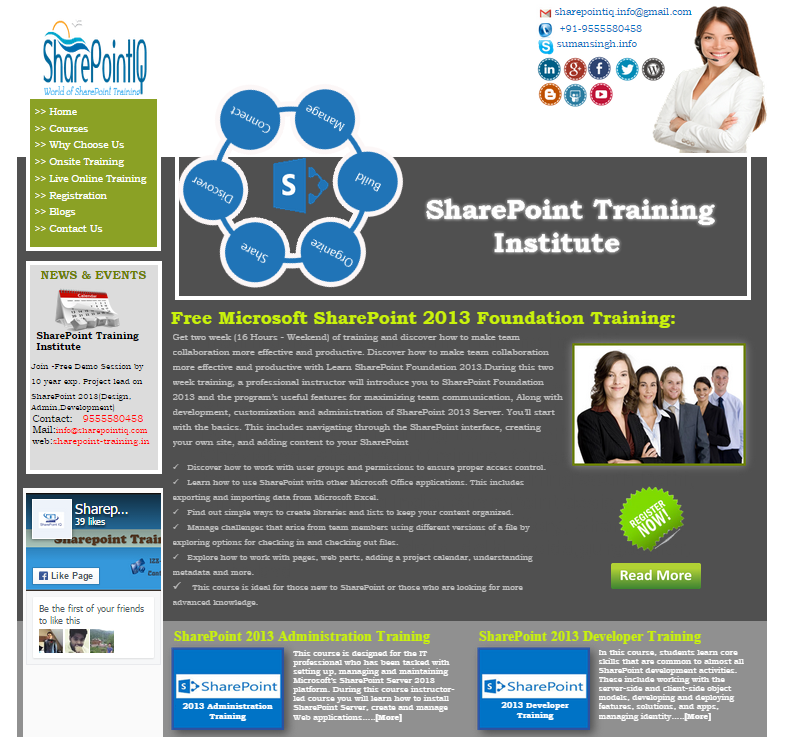 * Describe the architecture and capabilities of workflow in SharePoint 2013. * Create declarative workflows in Visio 2013 and SharePoint Designer 2013. * Create and deploy custom workflows by using Visual Studio 2012. This module explains the importance of a good taxonomy in SharePoint and working with the components of the taxonomy. The students also see how to tie event receivers to the taxonomy. * Work with taxonomy building blocks in SharePoint 2013. * Create and configure content types declaratively and programmatically. * Work with advanced features of content types. This module explains different ways of customizing the SharePoint user interface, such as adding buttons to the ribbon or modifying the appearance of list views. * Working with Custom Actions. * Using Client-Side User Interface Components. * Customizing the SharePoint List User Interface. * Configuring an App to Display Customer Orders. * Use a Custom Action to Launch an App. * Use custom actions to modify the SharePoint user interface. * Describe how to modify the appearance and behavior of list views and forms. * Tailoring Content to Platforms and Devices. * Configuring and Customizing Navigation. * Creating SharePoint Master Pages. * Building Master Page Functionality. * Publishing and Applying Design Assets. * Creating a Custom Site Map Provider. * Create and apply themes to SharePoint sites. 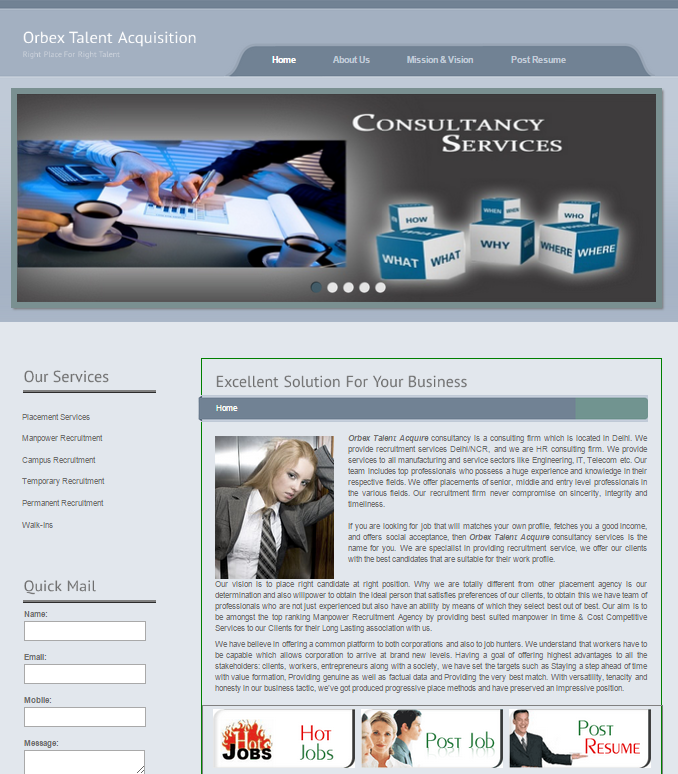 * Create publishing site design assets such as master pages and page layouts. * Use device channels and image renditions to adapt content for different devices. * Configure and customize the navigation experience for publishing sites.